Bo the dog loves his family and his sweet-natured ways make him popular with everyone he meets. He is full of energy and always seems to be up to something, thanks to his love of adventure. But his recent adventure has left the whole internet falling in love with him. Bo loved adventuring and making new friends. So it seems only fitting that this adorable dog should run away in the night to seek out both. 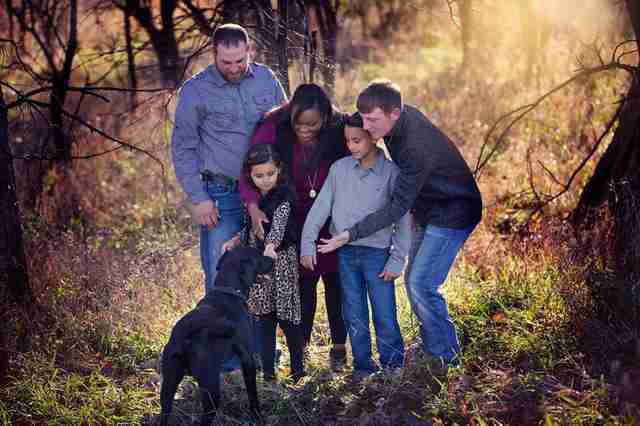 Last week, Bo the beautiful black Lab slipped away from his home in the middle of the night. He went out to explore the open fields near their house in Kansas. However, Bo being a dog and all, he didn’t happen to leave a note for his humans letting them know his plans. So, naturally, when his family awoke the next day, they were very worried. They searched all over for him and reached out to the neighbors to see if they had spotted him. 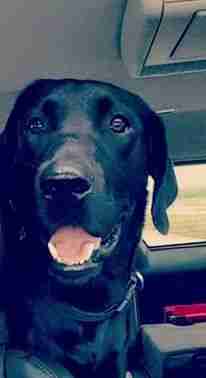 Bo’s dad, Kyle Krier, heard that a dog fitting Bo’s description had been sighted playing in a field 6 miles away. 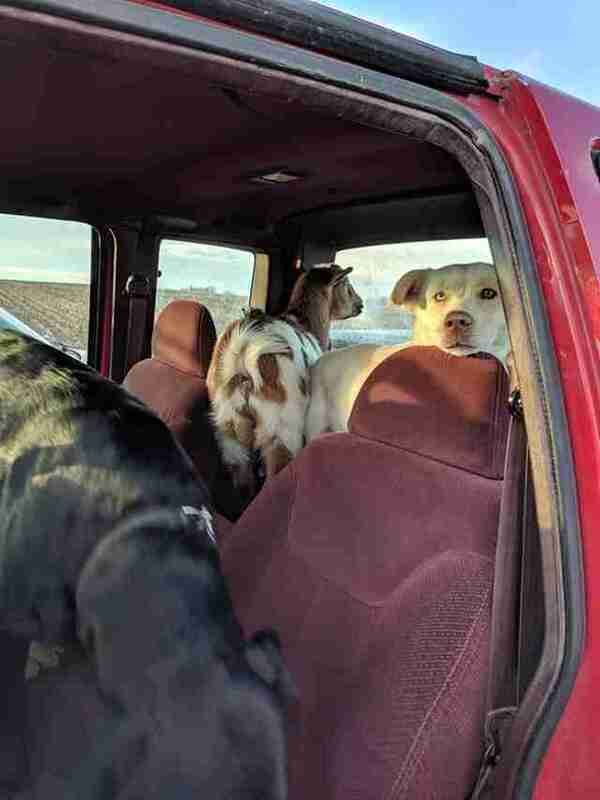 Hopping into his truck, Kyle drove out to where the dog had been seen. As it turns out, it’s a good job that Kyle had a big vehicle. Out in the middle of the field, Bo was accompanied by two unlikely friends. He had clearly picked them up in the middle of the night and taken them with him on his wild adventure. Watch the video below to see the moment that Bo was found… and the friends that he brought home with him. 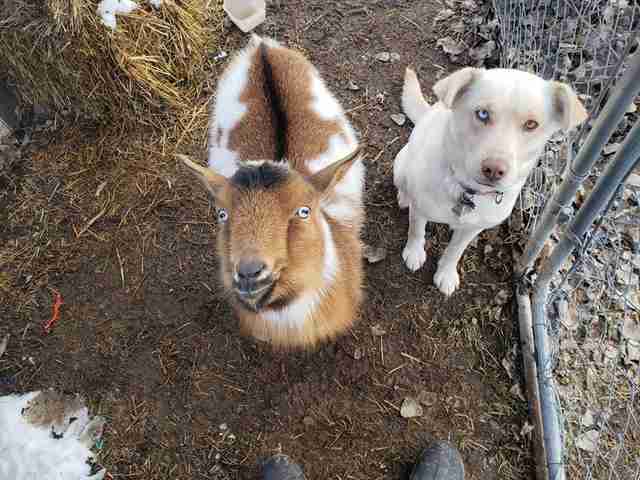 Bo the dog had gained two new friends in the form of another dog and a goat. The other dog and goat aren’t unknown to the Kriers. The mischievous duo are called Ozzy and Libby, and they live with the Krier’s neighbors, Chris and Shawna Huggans. It was clear that Bo had snuck away from his own home to head over to their place. That’s when their adventurous plan was hatched. The three mischievous musketeers are back home safely now, but their parents can’t get over their funny escapade. The story may sound ludicrous and like they could be making it up, but they have the video as evidence. It looks like Bo and his newfound friends had an absolute blast sneaking away in the night for an adventure. And they certainly have entertained the internet with their adorable escapade. It is funny. Bo is crazy, he is full of energy and always up to something. He’s a nice, sweet dog. Life is never dull when you have a dog around. They really do provide so much joy.